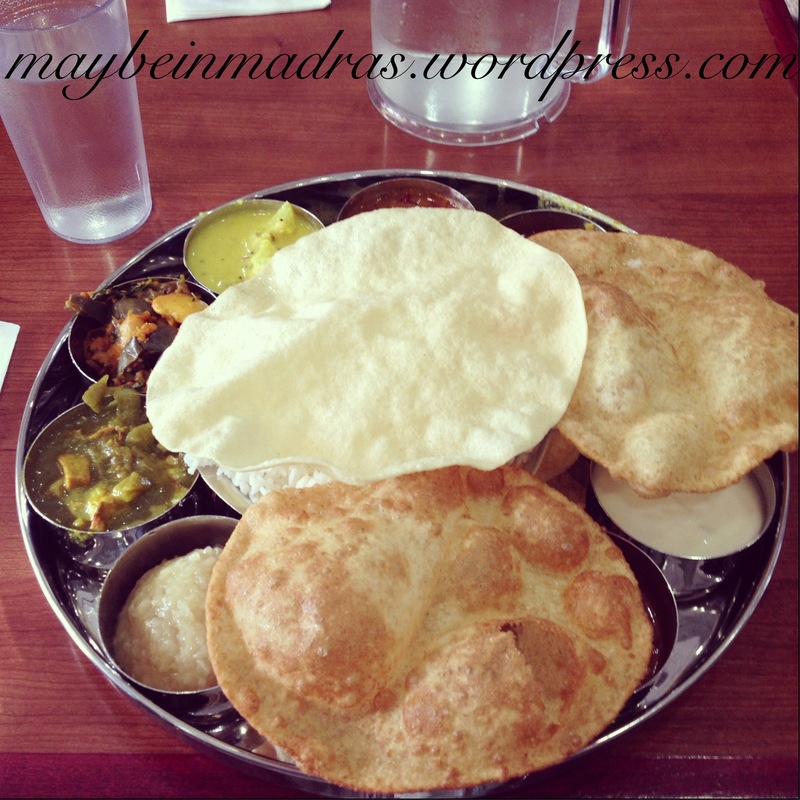 We finally went to Saravana Bhavan a few weekends back. The food did taste a little different than the one in Madras but I was satisfied. It felt like a little piece of home that I could visit any time I wanted. Granted there were no familiar waiters, the smell of coffee in the air and the general chit chat that only Madras offered. But dipping my fingers in their famous sambar after three and a half months of a dearth, this was more than I could ask for. sigh. i wish there was one close to where i live. how i miss this place! Yea, that’s one reason why I’m glad to live in California – Dosa everywhere!